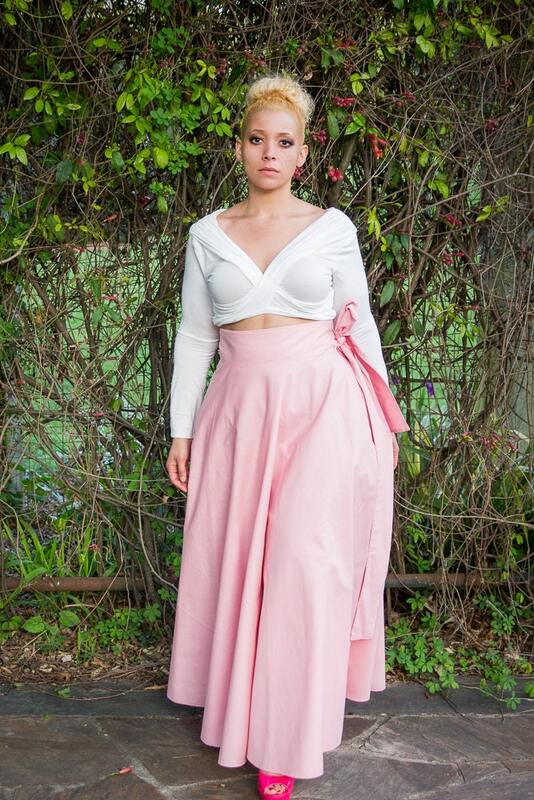 What is the difference between the skirt in the last photo for $139.00 and this skirt in this listing for $119.00? 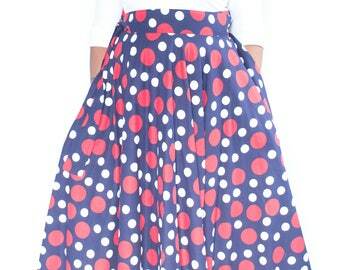 *This skirt is made of a light weight Poly/Cotton blend. Why does it takes 2 weeks to ship? Why are there no exchanges or refunds? *This is a custom listing. Does it come with pockets? *This garment has a wrap band that acts like a corset which doesn't allow for pockets. 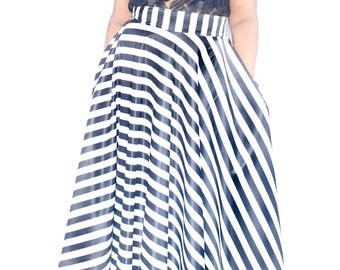 This plus size full long wrap maxi skirt is made using light weight poly cotton fabric. This plus size maxi is a FULL CIRCLE SKIRT that will add drama to any outfit. 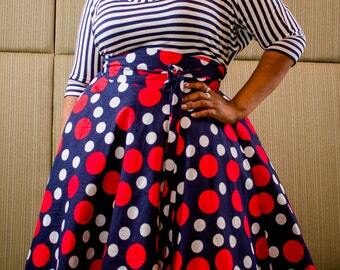 This skirt works for plus size, regular size, petite, tall... all shapes and sizes. Great quality and attention detail! Fit is perfect - can’t wait to wear it for an upcoming trip! Love it, this skirt number two for me. Great quality and service thank you!